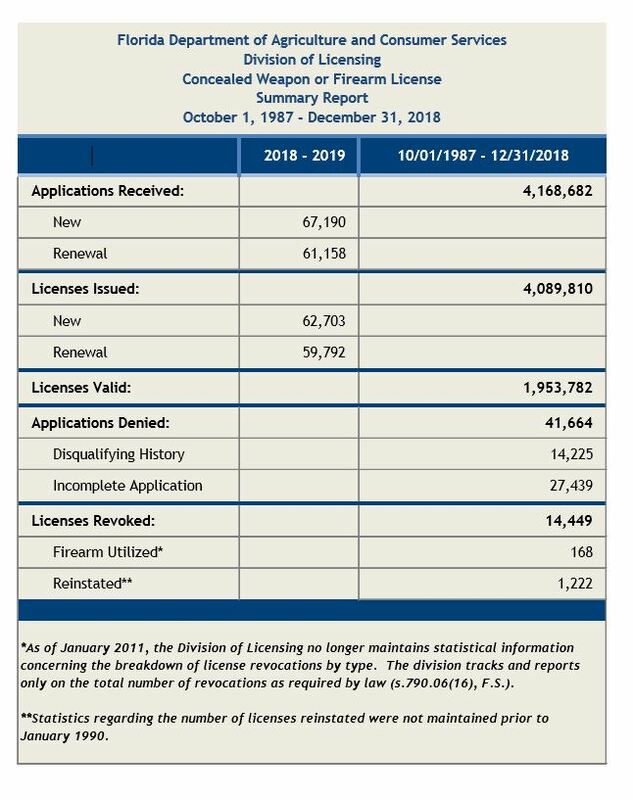 Florida Concealed Weapons Report 2018. Not yet with the 2 million. People that come or trace their origins to the North West region of Spain (Galicia) are supposed to be the Spanish version of the Polish jokes: Hard working and nice people (till you piss us off) but sometime dumb as rocks. Guess where your kind host traces his lineage? Yup. I confess that I have been misreading the CWP report and thinking the totals for the year were the new monthly additions. Boy do I feel like a gigantic idiot. Anyway. we came up short the two million by 46K and change. Still we are the state with more Concealed Weapons permits in the Union. We should start bothering fellow Floridians with guns and tell them to get their CWP if nothing else to bypass the stupid 3 day waiting period and to avoid pitfalls that come with not having one. Let’s Make 2019 the year of the 2 million if only to annoy the Democrats bot state and nation-wide who help put a pothead in charge. Next PostNext Keeping your firearm affinities to yourself at work.